Tigers outfielder JaCoby Jones had the most Defensive Runs Saved of any outfielder in the majors this season. But he did not win a Fielding Bible Award, nor will he win a Gold Glove, as he was not among the finalists named at the position in which he was eligible, left field. Jones actually played more innings in center field this season (that’s where he was Fielding Bible eligible), but at the time of his team’s 138th game (Rawlings’ standard), he had played more games in left. Regardless, he didn’t win in either spot. He was the most notable of a few players who were multi-positional standouts and finished behind Javier Baez in the Fielding Bible Awards, but merit more than a passing mention for their 2018 contributions. Jones saved 21 runs—11 in 452 innings in left field and 10 in 558 innings in center field. He ranked fourth at the former position and seventh at the latter position. He’s one of five players to record at least 10 Defensive Runs Saved at two positions in the same season since Baseball Info Solutions began calculating the stat in 2003. The others are Alex Rios (2008 CF and RF), Ben Zobrist (2009 2B and RF), Nyjer Morgan (2009 CF and LF) and Ender Inciarte (2015 LF and RF). Jones’ 21 Defensive Runs Saved rank second for a season among Tigers outfielders in the DRS era, trailing only Austin Jackson’s 26 in 2011. What made Jones great depended on where he played. In left field, he fared better on balls hit to the shallowest part of the outfield. In center, he provided more value in tracking down balls hit to the deepest part of the ballpark. Jones was boosted by a pair of home run robberies (one shy of Adam Engel for the MLB lead). They were two of his 15 jumping catches, tied with Kevin Kiermaier for second among outfielders. Only Billy Hamilton of the Reds had more with 18. 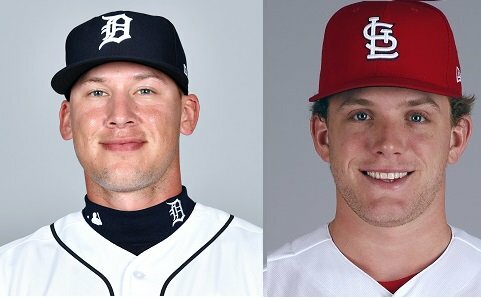 Harrison Bader of the Cardinals was in a similar position to Jones in that he split his time between two outfield spots – center field and right field – and excelled at each. But not playing enough at either one may have hurt him when it came to consideration. Bader saved 11 runs in 615 innings in center field and eight runs in 270 innings in right. He was very good at tracking down balls hit to both the shallowest and deepest parts of the ballpark at each spot. His 72 sprinting catches ranked second among outfielders behind Inciarte’s 77. (Per Statcast, Bader’s 29.9 feet per second sprint speed ranked eighth among those whose speed was measured at least 25 times.) His nine diving catches tied for fourth. Among infielders, Miguel Rojas’ season of 14 Runs Saved with the Marlins should not be forgotten. Rojas saved 10 runs in 657 innings at shortstop and four runs in 285 innings at third base. He also saved one run in 102 innings at first base, though lost one run in 68 innings at second base. What was most impressive about Rojas’ play at shortstop was his range (he had positive ratings on getting outs on balls hit up the middle and in the hole) and his avoidance of mistakes. He finished with 22 Good Fielding Plays and 13 Misplays & Errors there, as charted by BIS Video Scouts. (Good Plays are often Web Gem-caliber plays; Misplays are plays that have a negative consequence, such as costing the opportunity for an out.) Rojas’ ratio of 1.7 Good Plays to Misplays/Errors was the best among shortstops last season. Another infield standout was Joey Wendle of the Rays. Wendle played at least 60 innings at four positions last season. At second base, his primary spot, Wendle saved five runs, with much of that coming through making nice plays on balls hit in the first base-second base hole. He added more value there through his performance in the many Rays’ defensive shifts (which are not counted in the basic Runs Saved computation). He also chipped in a run in a little more than 150 innings at third base. Jones, Bader, Rojas and Wendle don’t have any hardware to commemorate their work. But they’re worthy of remembering when we think about the year in defensive excellence. ← Which catchers are best at stealing strikes?